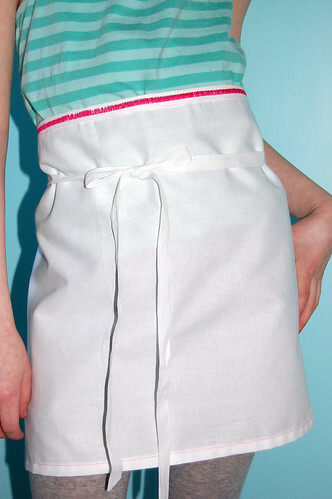 Apron, originally uploaded by indiaeden. Once a month I host a sewing circle for a handful of local home educated children...much to my schooled childrens annoyance..oops! 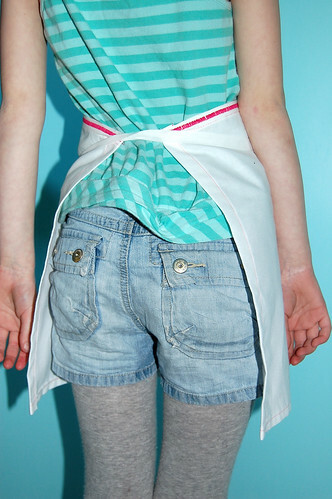 Tomorrow we are going to be making these aprons using some white cotton we tie dyed last month. I've just finished preparing the sample and instructions,and am now hoping they are clear enough for the children attending, guess we'll see tomorrow. 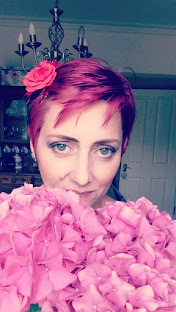 If all goes well, perhaps I'll post the tutorial here too, and maybe the results of tomorrows hard work too. I love the top part - would make a nice summer dress me thinks ! LOL Vanessa, that's just E's top...she apparently thinks it's Summer already!